Imagine if you are in grade school, and have been sitting in class all morning. The tick-tock of the clock is constant, and you are full of energy, waiting so impatiently for the lunch bell to ring. Consonants and pronouns and quizzes and tests are just another thing keeping you from a cold milk, peanut butter & jelly and being able to talk with your friends about whatever you want. 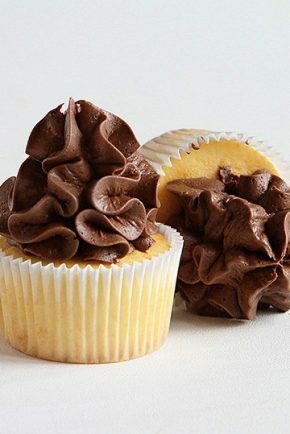 Opening your lunch box yields the greatest surprise of all time… a CUPCAKE! And not just any cupcake, a cupcake covered in more frosting than you have ever seen! On top of that frosting is a sweet sticky orange glaze. Without hesitation, you stick your finger into it, as knowing what it tastes like suddenly becomes the most important thing in the world. The first taste is utterly sweet… and confusing. What is it? 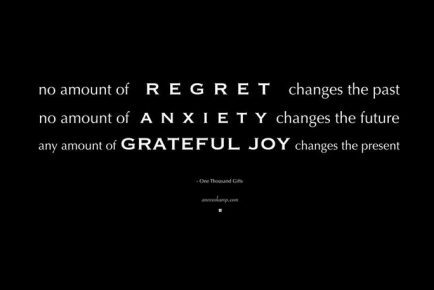 Familiar, but hard to place. You pull the entire cupcake out of your lunch box and see all the glorious color. Candy Corn! That glaze tastes just like candy corn! Everyone is oohing and aahing. They all want some, but it’s all yours. At least, that is what I envision would happen. More likely than not, the cupcake would get schmooshed on the way to school and frosting would be all over the lunchbox, the sandwich, the milk, the apple. My precious little darling would have her lunchbox held up to her face unabashedly licking every last bit of frosting from every last surface. She would then have frosting in her hair, on her eyelashes, all over her face and hands. Maybe this is better suited as an after school snack! The first time I made this glaze (candy corn schootcharoo bars) I played around with it quite a bit. I think it works best at a lukewarm temperature for drizzling over cupcakes. The cooler it gets the more firm it gets and therefore harder to drizzle. 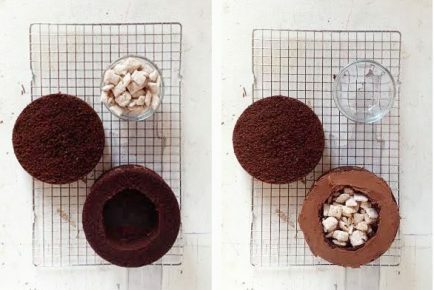 Once you are done covering the cupcakes I would place an remaining glaze in an airtight storage container and clean out the pan. 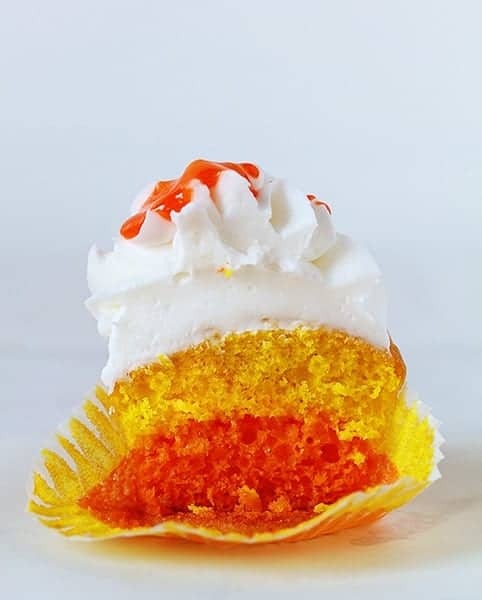 I did my candy corn cupcakes in opposite color order. This was entirely for vanity purposes! I just liked how it looks with the orange on top and bottom and the yellow breaking it up a bit. 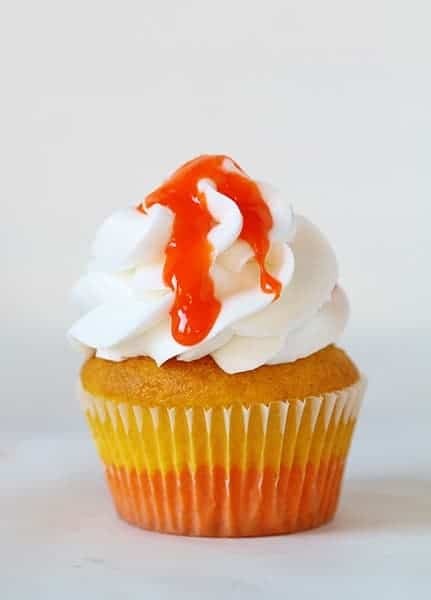 The recipe is written how I did it, but if you want a traditional candy corn cupcake, be sure to put the yellow batter on the bottom. 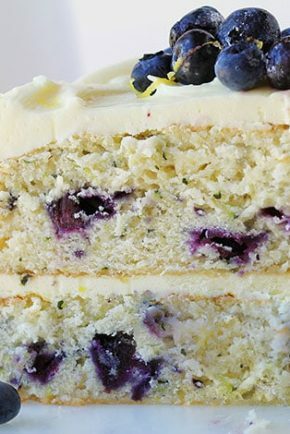 While this recipe is written to use a box mix, you can most certainly use your favorite white cake or yellow cake recipe. 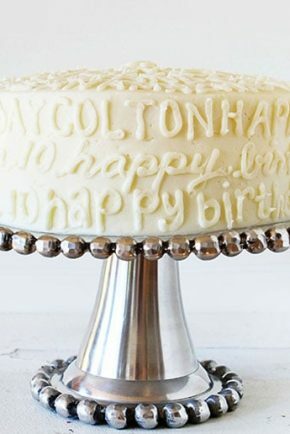 I love this buttercream recipe for bright white frosting. These sweet little treats are definitely perfect for the occasional seasonal indulgence. The bright colors and billowing frosting take ‘eating with your eyes’ to a whole new level! And of course, are the ideal treat for anyone who loves candy corn! These cupcakes are so fun! Love the bright colors! No! It is against my belief system to share. I WANT THEM ALL. That glaze!! These are perfection Amanda! That glaze is so pretty! Love these cupcakes! These look great. 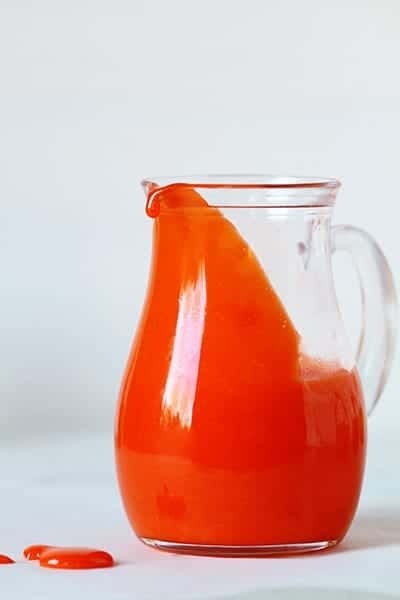 I am very guilty of printing your recipes and reading your blog and not commenting. I just wanted to say thank you. Everything you make is just gorgeous. These are so fun! We have your book and I’m going to attempt a surprise cake for my daughter’s upcoming b-day, but I suspect she’d go crazy for these cupcakes too! Those are seriously so fun!!! And candy corn glaze? Where have I been? That’s all sorts of awesomeness! These are so cute! 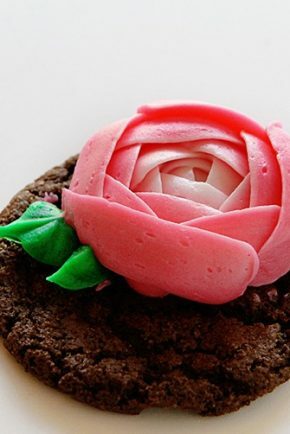 What a cool idea to top them with a glaze too. I love you for that glaze!! oh my goodness. . loved reading that opening story!! 🙂 it was like a commercial . . 😛 I think we all wanted to be that cool kid at the lunch table. . but yes, totally agree that this would be the ultimate and most awesome after school snack. . I bet your kids get the best sweet treats when they come home from school! 😛 love these for Halloween!!! The directions say to put the yellow batter carefully on top of the yellow batter. Better change one of those yellows to orange! Love candy corn, although it can’t be bought here — boo. 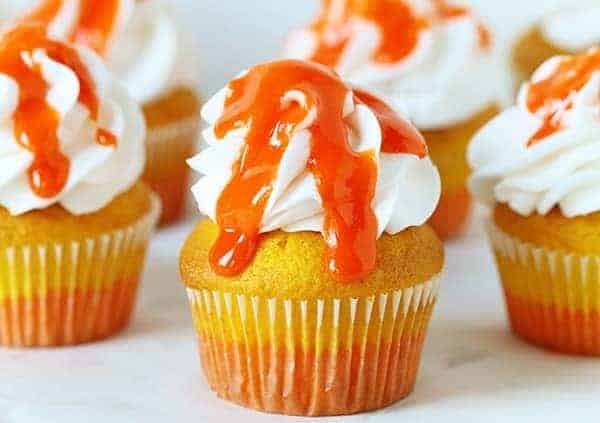 But if these have candy corn frosting, imma gonna hunt down a pack because these look too good to pass up. Pinning and adding to my make/bake list. Schwingggg! these are beautiful and I love love love candy corn!! Seriously, can I be your child? I want to come home from school to eat some of these lovely cupcakes!!!! I have 2 little candy corn obsessed boys that would LOVE these. These are adorable, Amanda. And you would totally win Cool Mom Points if you sent these to school, even if it got a little squishy along the way. 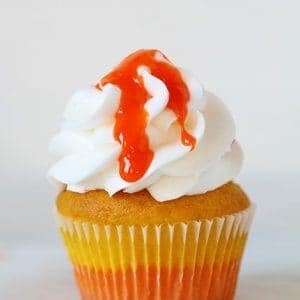 I just tripped over this recipe in my search for the perfect Candy corn cupcake. Definitely going to make them! I’m wondering if the glaze would be a good mixer in buttercream if I decided to do a 3 color swirl? I assume it would stiffen up enough where I wouldn’t need meringue powder. Thoughts? Thank you for sharing your joys of creating with us & I look forward to seeing what other blissfully yummy surprises you have!